Take a look at some of the fabulous goodies that can be won in our free to enter prize draws. You are welcome to enter, for your own kids or for the pupils in your school. Good luck! UK Teachers and Librarians - Win a copy of Visible Maths by Peter Mattock! 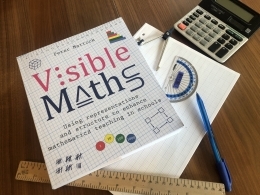 Win a copy of Peter Mattock’s Visible Maths. Using representations and structure to enhance mathematics teaching in schools supports teachers in their use of concrete and pictorial representations to illustrate key mathematical ideas and operations. Viewing the maths lesson as an opportunity for pupils to develop a deep understanding of mathematical concepts and relationships, rather than simply to follow fixed processes that lead to ‘the answer’, is increasingly recognised as the pinnacle of best practice in maths education. Please note that this draw is open only for UK teachers and librarians and is free to enter, multiple entries from the same email address will only be counted once. The draw closes on 21 May 2019. The winners will be notified by 4 June 2019. Good luck! 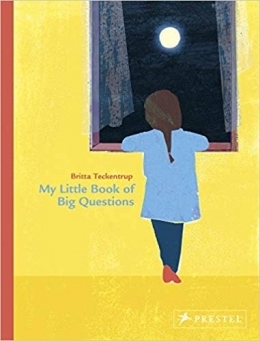 My Little Book of Big Questions by Britta Teckentrup is a book to encourage contemplation, one that in our frenetic world enables children to be able stop and think about things without being graded. It accepts that not all questions have answers, certainly not right or wrong ones, and that conversation is vital to working things out. Beautiful and unusual, this will start all sorts of discussions and we have a hardback copy to give away to THREE lucky winners! Please note that this draw is open only for UK residents and is free to enter, multiple entries from the same email address will only be counted once. The draw closes on 7 May 2019. The winners will be notified by 20 May 2019. Good luck! 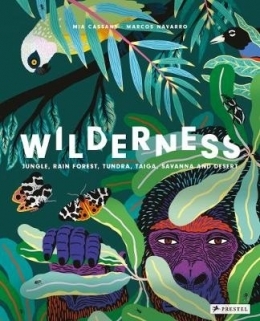 Jungle, Rain Forest, Tundra, Taiga, Savanna, and Desert - Wilderness by Mia Cassany and illustrated by Marcos Navarro is one of our Books of the Month. Take an inspiring journey into sixteen very special and important landscapes each of which is brought to life in glorious large-scale illustrations. We are giving away a hardback copy of this beautiful book to THREE lucky winners! Please note that this draw is open only for UK residents and is free to enter, multiple entries from the same email address will only be counted once. The draw closes on 7 May 2019. The winners will be notified by 20 May 2019. Good luck!